Gandhi Ji’s unparalleled “Satyagraha Fight” against the might of the British was rewarded with India’s being proclaimed as an Independent nation; yet, 67 years later, we are a Poverty ridden nation, “begging” with our bowls at the Doors of the Western world. Governments come and go: paying lip service to Gandhi Ji’s concept of Village Development and POORNA SWARAJ. Lakhs of Crores of rupees are spent in the name of Khadi, Village Development, Rural development and so on. 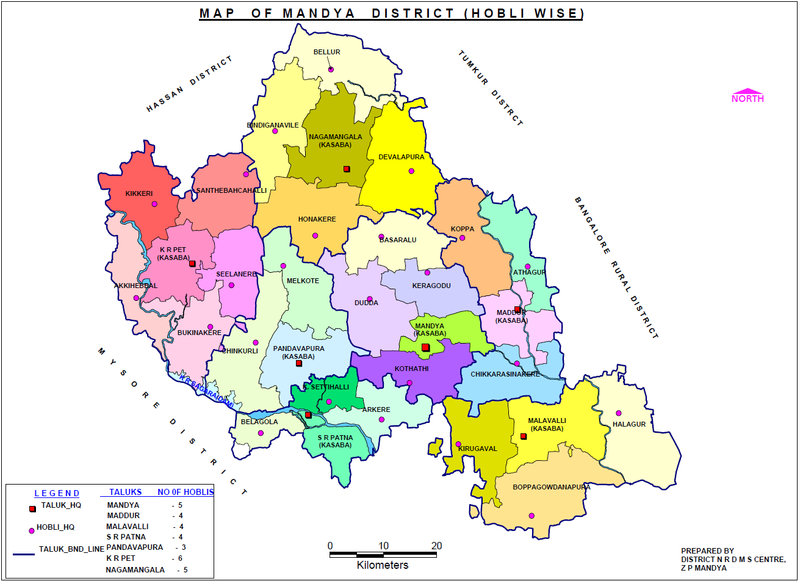 Yet the 638, 600 villages where over 850 million people live are dilapidated and in wretched conditions. The Governing people (Parliamentarians, Legislators, IAS officials, Planners, Government Officials, Industrialists and various Elite Groups) continue to become richer and richer; but the Villages are continuing to be poorer and poorer! But, YES! 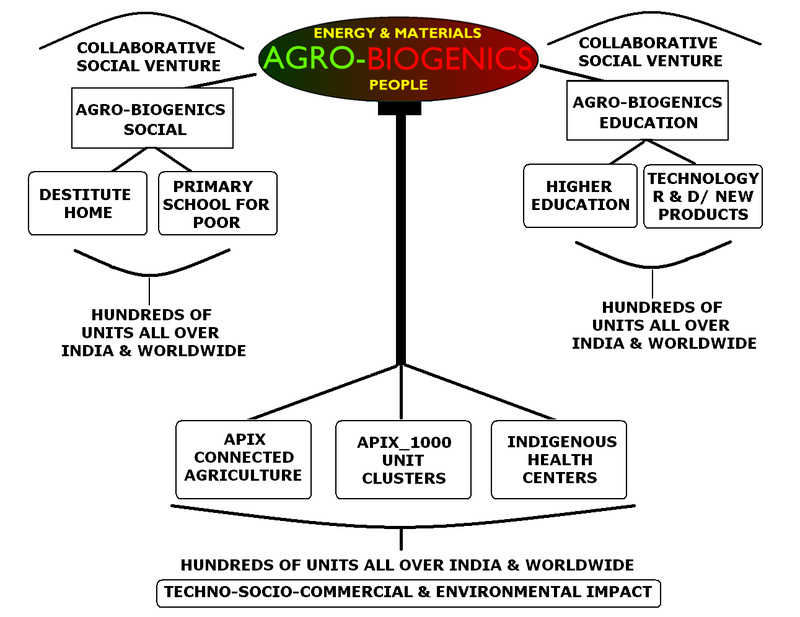 We ( AGRO-BIOGENICS (CLEAN-TECH) PVT LTD Bangalore ) have the answer to counter Poverty and the dreaded Energy problem too. AB would have to be supported with a GRANT of Rs.30 Cr to set up an AGRO-POLYMER INDUSTRY COMPLEX (APIX) Pilot Project. The said APIX_Pilot would showcase Waste processing. Whichever State offers the same FIRST would get an additional benefit of 5% on the annual returns of AB’s Total Indian businesses, all throughout. 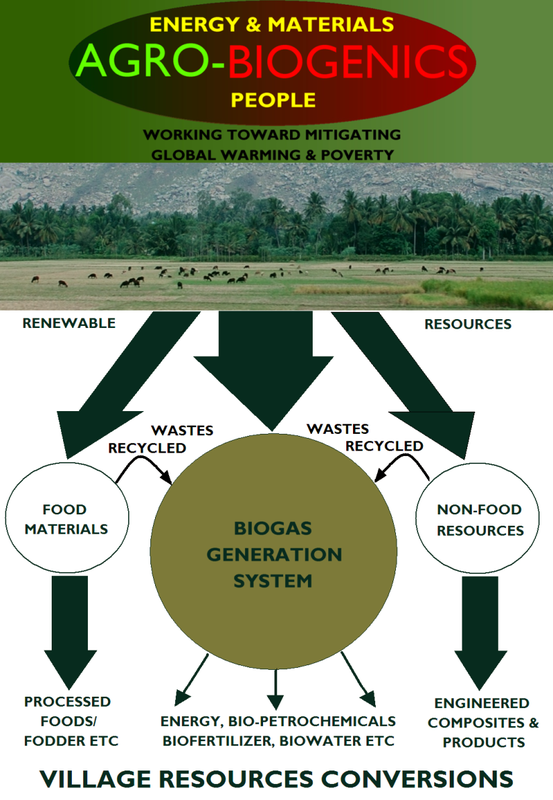 It is estimated that the potential businesses (MEGA-BUSINESSES) involved through utilizing available Renewable Resources (RR) are about US $15 Trillion to $20 trillion – the tropics alone accounting for 75% of these! JOIN US IN DEVELOPING THE BIGGEST BUSINESSES that would help transform OUR NATIONS into DEVELOPED NATIONS. We believe that business alone could develop and transform our nations into Developed Nations.